We can cut any of our wood to your specific dimensions with uses from stair treads to siding to trim. Two by tens, and 2x8's require no special processing and can have the circular cut pattern if desired. Other sized boards can be delivered in any state of reconditioning from just denailed to kiln dried and ready for installation. Our siding ranges in age from 50 to 150 years and in sizes from 6" to 10" in width. 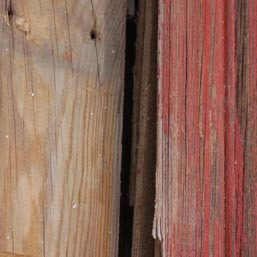 This siding can be in any state of reconditioning from just denailed to kiln dried and ready for installation. 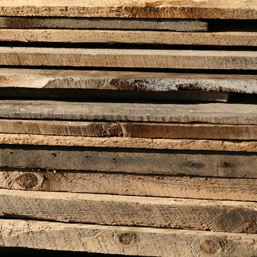 Reclaimed lumber is one of the best ways to "GO GREEN" in new construction. 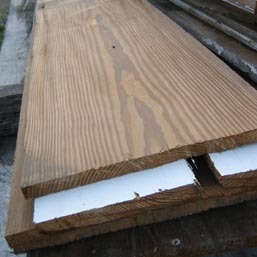 Reclaimed lumber can add character and beauty to building projects that new lumber just can not match. Early American settlers utlized the resources around them to construct the barns and homes they lived in. In most cases exotic hardwoods such as oak, chestnut, and walnut were utilized more for their utilty than for their beauty. Today those same new growth hardwoods are reserved for high-end furniture and fine home building. Hodupp's long recognized the undiscovered treasures awaiting the opportunity to be useful again.